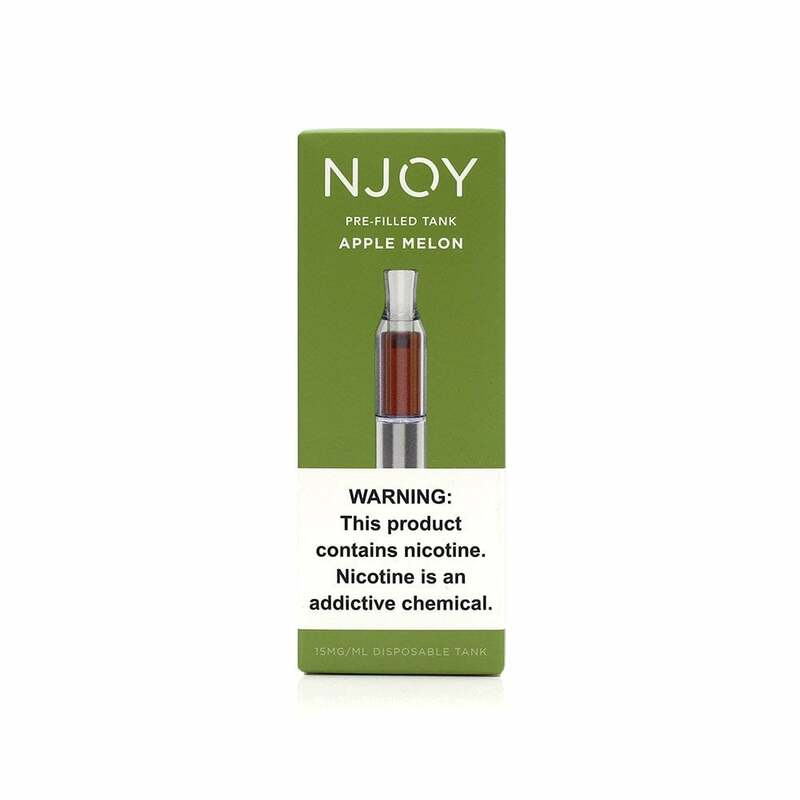 NJOY Apple Melon Pre-Filled Tanks deliver a refreshingly fruity vape. Full of juicy apple and melon flavor, Apple Melon Pre-Filled Tanks are the perfect choice for fruit vape lovers looking for something subtly sweet and utterly delicious. Love this flavor but these tend to leak onto battery and sometimes it spits onto my tongue. I have to press the button first before taking a draw and that seems to work. One of my two favorite flavors. Really like this one. The flavor was satisfying and enjoyable. The refill tank it's fragile. This what's the second time an Enjoy tank cracked on me. Really like this flavor! Highly recommend!